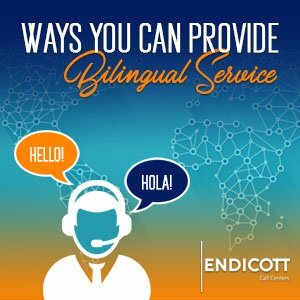 Regardless of what industry your company is operating in, you can probably benefit from expanding your customer service to include bilingual capabilities. We live in a multicultural society where not everyone speaks the same language. Fortunately, it’s probably easier than you think these days to offer bilingual call center services for your company. Bilingual staff members are increasingly easy to find these days. You can also take advantage of outsourced call center services to offer service in many different languages for an affordable cost. To evaluate the advantages of bilingual call centers, it’s a good idea to first consider the unique advantages they offer. With a bilingual call center, you can open up your service offerings to more potential customers. If you’re only offering call center service in one language, you are unable to reach all prospective customers. There will be customers who cannot successfully carry out a call in your offered language. This will cut you off from numerous demographics and bite into your sales. You’ll have a much wider pool of target customers if you can reach people in other languages. Conduct an analysis and figure out what languages you can offer to maximize the exposure of your company. Showing your company’s dedication to customers. Even bilingual customers who can do business in the language you’re offering might appreciate you’re putting effort into offering call center services in their native language. Anything you can do that your customers appreciate will make those customers more loyal and more inclined to come back to you in the future for repeat business. Offering greater personalization in customer service. We live in the age of personalization. Customers have come to expect a personalized experience that caters to their unique needs. Offering bilingual call center services leads to more personalized service. Customers who speak other languages will feel that you’re reaching out to them specifically and making a big effort to accommodate them. It’s never easy for representatives to land a sale when they’re working with customers who don’t understand the language. Representatives who are able to communicate with prospects in their language will be more likely to land a sale. Therefore, offering bilingual call center capabilities can improve your conversion rates and make it so that you’re not wasting prospects because your representatives are having trouble communicating effectively with them. Offering bilingual services shows that your company embraces diversity. In many cases, this can be great for your company’s image and public relations. Showing awareness by offering bilingual call centers can go a long way in presenting the best possible impression of your company. Your company will appear modern, accommodating, flexible, open, and appealing to individuals from a wide variety of cultures. If you want to calculate the value of bilingual call center capabilities for your company, take into account the advantages mentioned above. It can be hard to come to an accurate figure for predicting what the value will be for your company. However, analyzing some of your sales data could come in handy. Have sales representatives make note of when callers struggle with language issues as well as the native languages of those individuals. You can also have representatives analyze calls and track instances where sales were unsuccessful because of language problems. 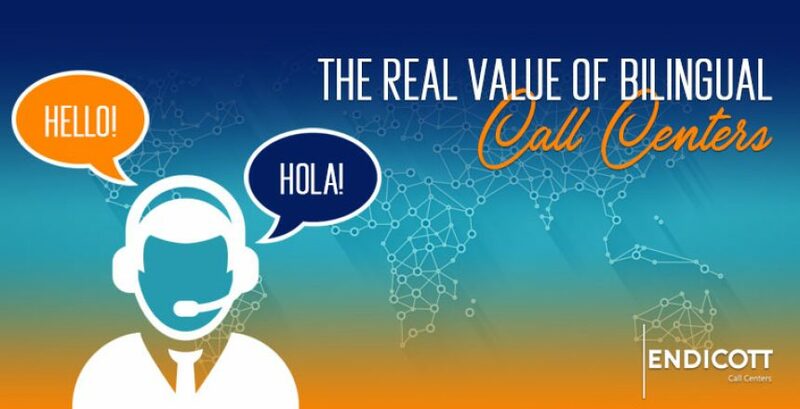 Perhaps some of the most significant providers of bilingual call center value are more difficult to calculate. How offering bilingual services raises the general appeal of your company is a less palpable value, but it could add the most to your company’s success. It’s important to remember that call centers are not just about signing on new customers and making initial sales. Call centers are also important for offering technical support over time and addressing customer concerns. Not offering bilingual capabilities with your call center can have a hugely negative impact. Representatives need to take more time to explain things or gather information from a customer who is having trouble understanding. In this situation, bilingual call center staff can more efficiently handle certain calls and get on to the next call. In the long run, this will save you money on labor costs and allow you to optimize your labor resources. You have two major options when it comes to providing bilingual customer service via your call centers. One option would be to hire bilingual representatives who can take calls at your own call center. The other option would be to outsource your call center needs to a company that can offer bilingual representatives. There are several advantages to each of these two options. You could offer bilingual capabilities by hiring call center staff members who can provide service in at least one additional language. The big advantage with this solution is that your own representatives might offer more familiarity with your company and products than representatives who are working for a third party. However, you will then need to go through the trouble of tracking down bilingual candidates and evaluating their language skills in a language you may not be familiar with. 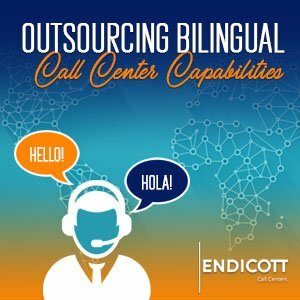 It’s easy to add bilingual capabilities on to your services when you outsource your call center tasks. This way, you don’t have to worry about hiring staff with bilingual language skills. However, you should make sure the representatives working for the third party are trained in your company’s products and service offerings. This allows them to effectively provide needed information and services regarding your company while working in an outsourced situation.